Get your guests through the door faster. 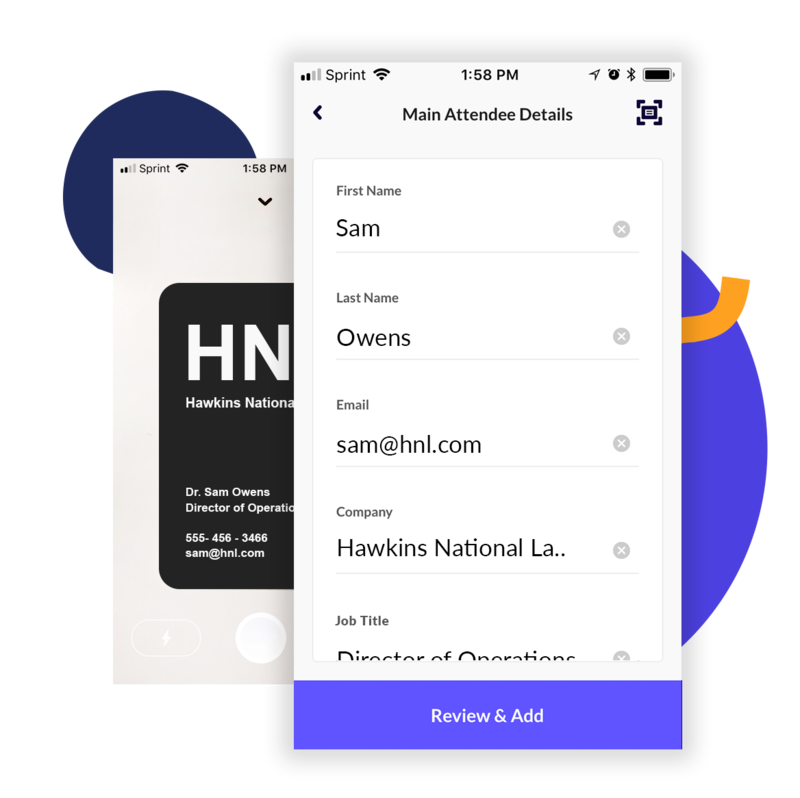 Capture attendee data, update guest lists and profiles, print customizable badges, sync your event data, and automatically notify your team -- all in real time. Say goodbye to long lines and data loss. And say hello to a flawless check-in. 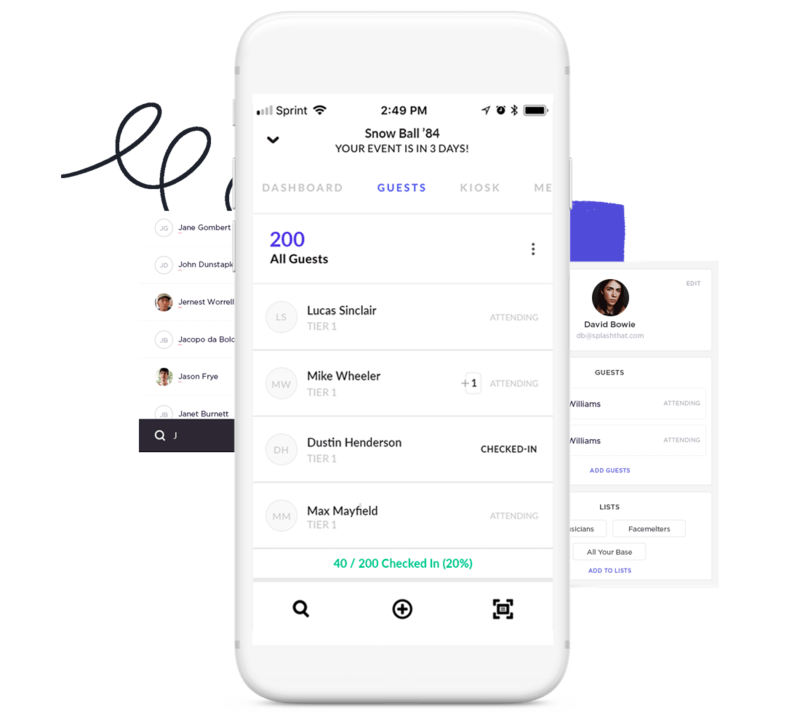 One-swipe check-in enables you to quickly capture attendance info while automatically syncing your event data across devices and to your CRM in real-time. Use our app to run the door like a pro. The Splash Host app is available on both IOS and Android devices. Capture walk-ins in a flash. No reg, no problem. At check-in, our business card scanner allows you to register walk-ins with a quick pic of their business card. 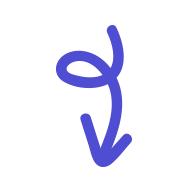 That data is automatically synced to your event campaigns for accurate record of who was there. Save manpower with Kiosk Mode. Reduce the number of staff required to run the door. 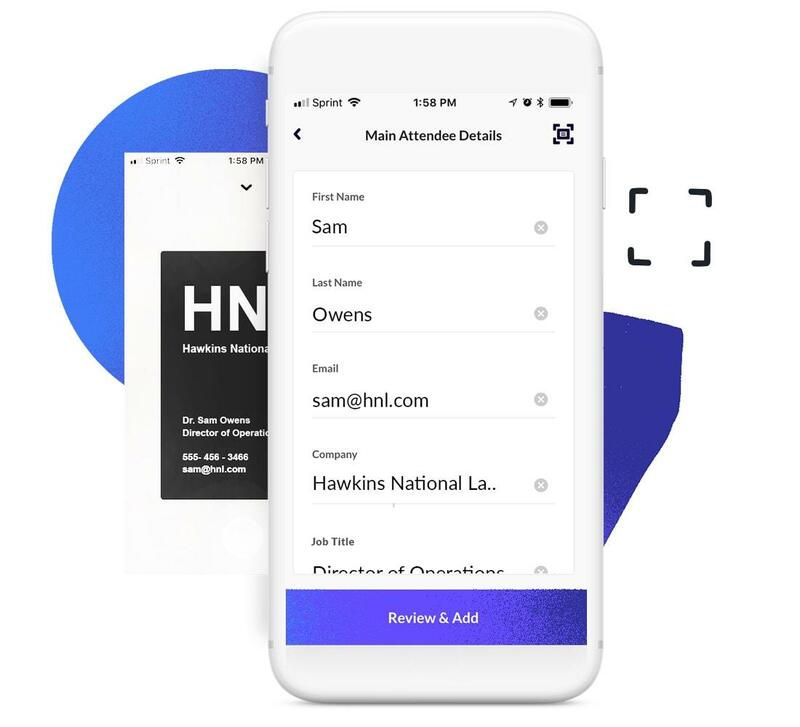 Our host app in self-service Kiosk Mode gives attendees the ability to register or check themselves in without having to speak to someone. Win the door with on-site badge printing. 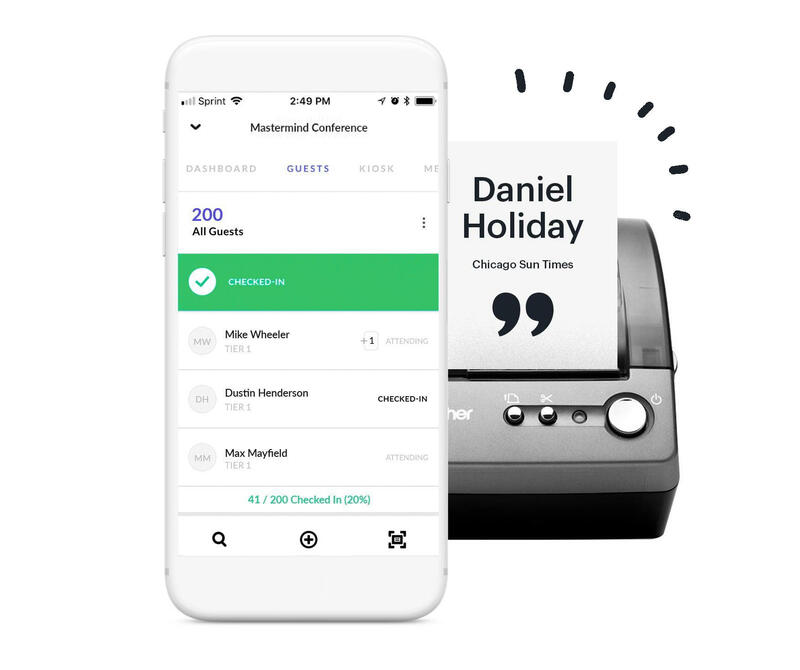 Use our host app to automatically print customizable badges the instant your guests check in. Save hours after the event when your attendance data is already reconciled and synced to your CRM and MAP. Get down to business faster. Ensure your team is engaging with the right people as quickly as possible. 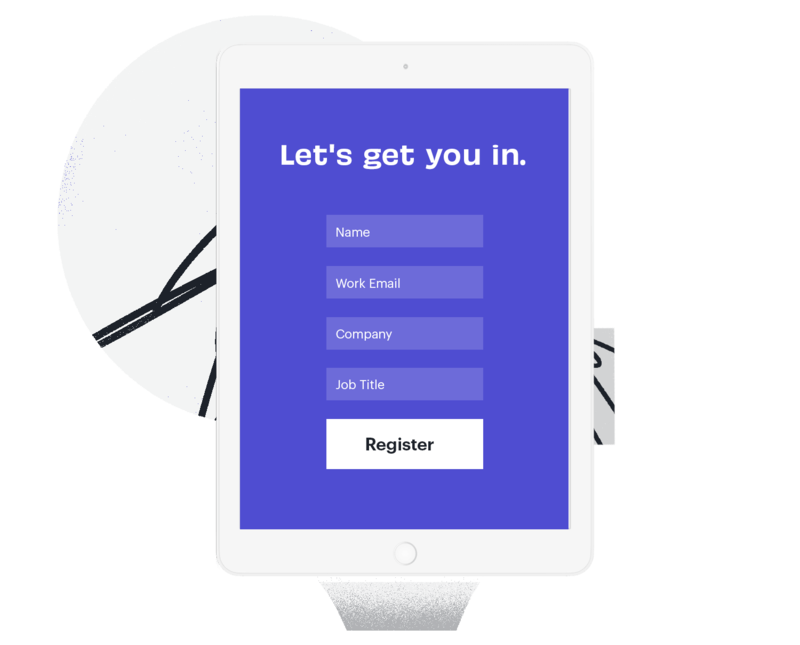 Notify them right when their guests arrive with real-time push notifications. Keep calm and communicate on. No matter how much we plan, events are unpredictable. Want to notify your attendees about a venue change or time delay? 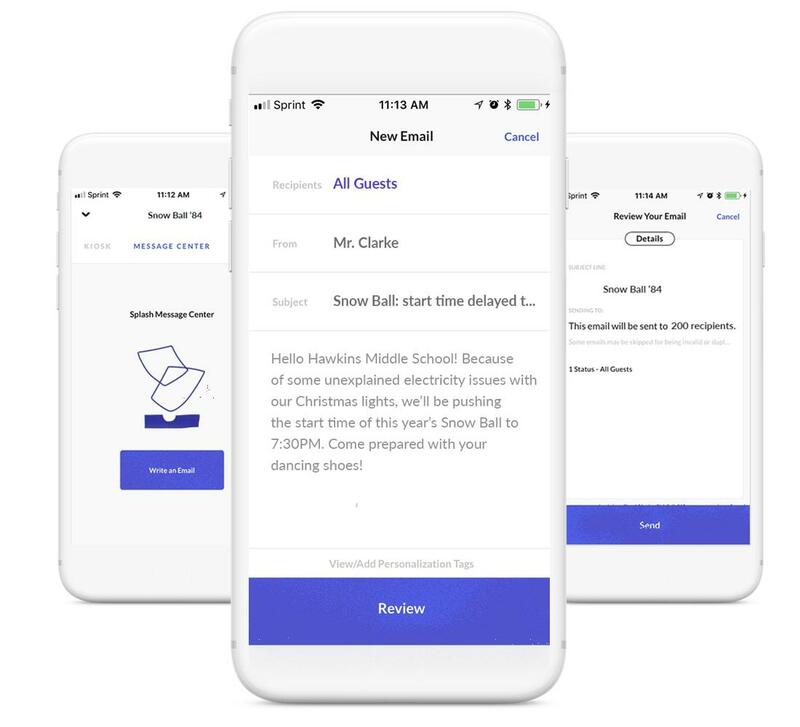 Send text emails easily via our host app so you can keep the party going. Check-in is crucial at all our events. It’s the first in-person interaction, and a smooth check-in process is key to setting the tone for the rest of the event. At SXSW we checked in over 10,000 people with Splash’s Host app - it was super fast and incredibly intuitive. Looking to upgrade your on-site experience?